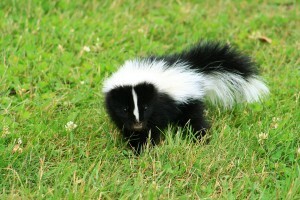 Skunks are well known for their smell but can create a problem when confronted. They can also carry rabies without showing any outward signs of the disease. Skunks like to create living spaces under decks, sheds and can make a mess out of your garbage.